It’s July, and for many of you, that means it’s time for a summer vacation! The Court Square Title Blog is going to take a little vacation this month as well. We’d like to thank the hundreds of readers who have tuned in over the past six months with a reader-exclusive coupon. 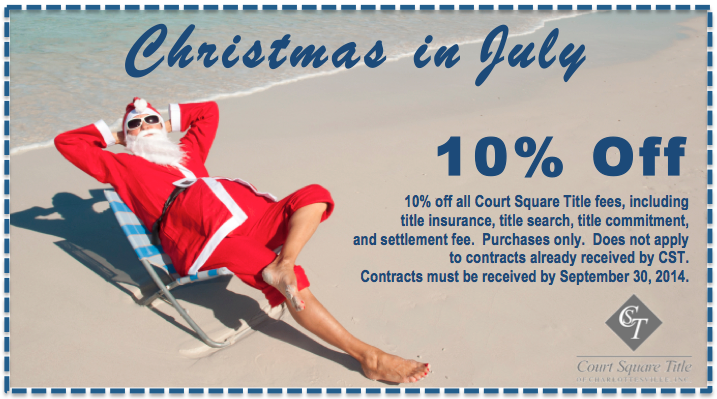 Present the coupon below and we’ll take 10% off all Court Square Title fees for purchase closings. Print and use the coupon as many times as you’d like, so long as we receive the contract by the end of September!